Small storefronts to large buildings, we do it all - and we do it well! 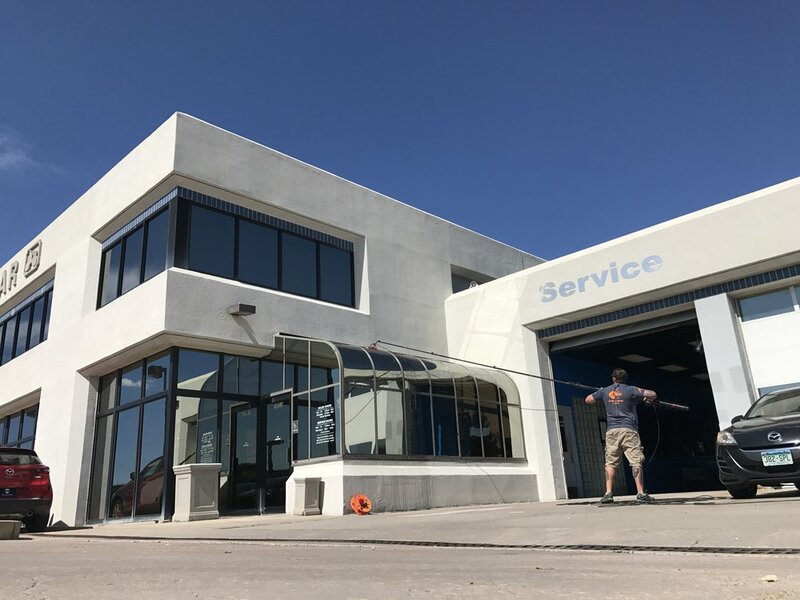 At 20/20 Window Cleaning, we service about 300 commercial jobs each month and we have built our business on quality and reliability. We take pride in our work and it shows! Window cleaning is our only business and we do it with pride 52-weeks a year - our crew shows up on time, as scheduled, as promised. We are fully insured - don't risk your business to someone who is not properly insured! Different businesses have different needs and we can schedule accordingly. We do all the work ourselves. We are efficient and professional, causing minimal disturbances to your business or customers.